Welcome to Horse Agility – Fun for You and Your Horse! Horse Agility began in 2010 as a small local club in the United Kingdom. 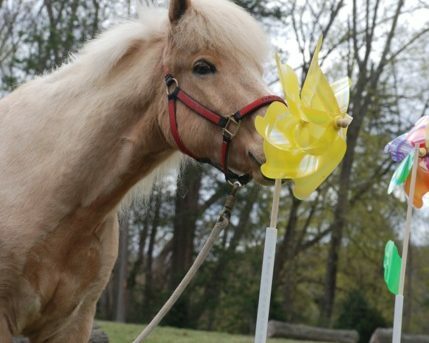 The club was founded by Vanessa Bee, author of The Horse Agility Handbook. 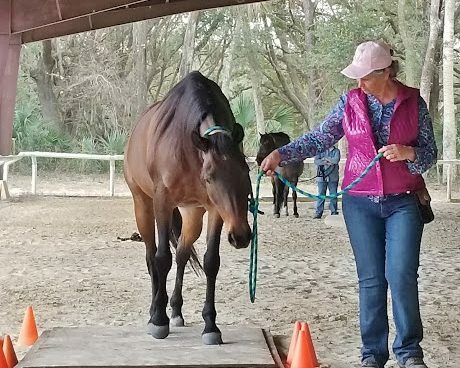 Horse Agility fosters clear, positive communication (not control), improved confidence and healthy emotional interactions between horses and their handlers. For you: Horse Agility develops your horsemanship skills, timing, communication & the ability to read your horse. 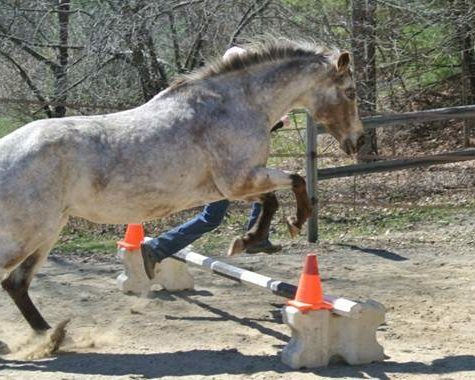 For your horse: Horse Agility develops versatility, attentiveness, and confidence. For you both: Horse Agility a stronger bond, better communication and lots more trust – on the ground and under saddle! See how the horse's and human's legs mirror each other? Horse Agility helps you and your horse get in sync. 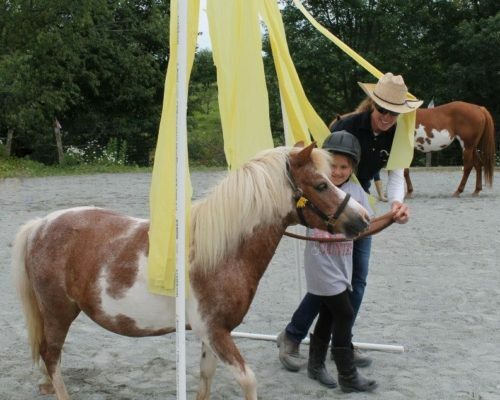 Horse Agility is great for helping kids develop their horsemanship skills. 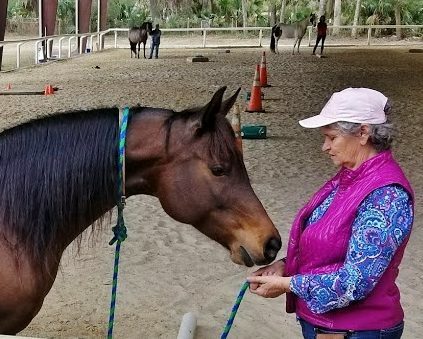 Horse Agility helps in developing focus, connection and attention. 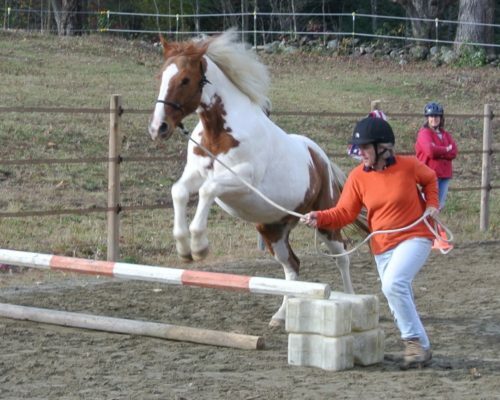 With Horse Agility, scary things become not-so-scary (for both the horse and the human)! Heidi Potter received Trainer Accreditation from The International Horse Agility Club in 2011 and is now one of 11 Accredited Trainers in North America. 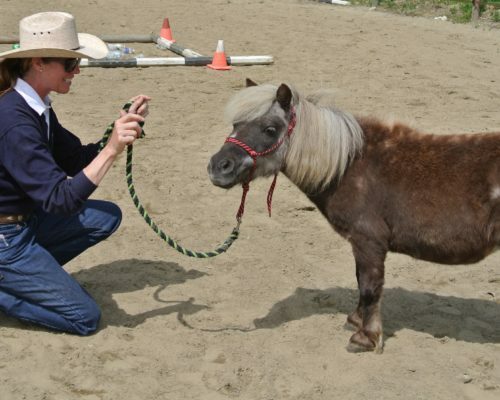 Heidi’s Horse Agility Training, Play Days & Events are all done in-hand, on the ground. 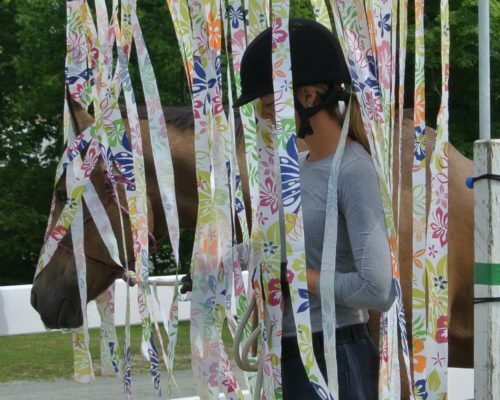 Check our Event Schedule for upcoming Horse Agility Play Days & Events, held at NECH, Guilford VT and various locations around New England and beyond. Learn & practice new skills and explore new challenges together with your horse in a safe and fun way. Each Agility Day includes skills training and obstacle work, followed by a fun 10-course competition. All of this work is done in halter only. Simply bring your horse, pack a lunch and enjoy the day with us. This book is a comprehensive guide to Horse Agility and includes progressive training on obstacles, sample courses, instructions for building obstacles and more. The Horse Agility Handbook starts right at the beginning explaining WHAT makes a horse the animal that he is, WHY he behaves differently from humans, and HOW to get his attention before starting training over agility obstacles. 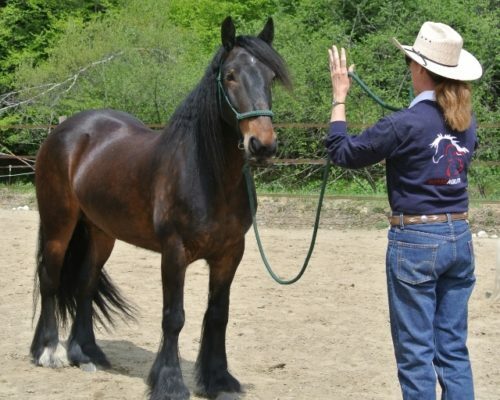 Respecting him for being a horse but keeping safety in mind at all times, the attitude of the handler and how to change the attitude of the horse is discussed, as is being patient and giving the horse TIME to learn. With a focus on the development of your horse in the new and exciting sport of horse agility, founder of the International Horse Agility Clubs, Vanessa Bee, not only covers the training of the horse, but the ins and outs of the sport itself. Safe construction of obstacles and negotiation of the obstacles is explained in detail, as is how to use imagination to develop the scope of even the simplest obstacle or agility course. The Horse Agility competitive levels are outlined and Vanessa explains how to organize a competition and training “play” days. A troubleshooting section serves as a reference for those moments when it just doesn’t seem to be working. Case studies of real life situations are placed throughout the text. A step-by-step introduction to the sport from the author of the best selling Horse Agility Handbook, Vanessa Bee. Filmed on location at Horse Agility HQ in Devon, England and on Clare Island in the West of Ireland, Vanessa will show you, through 90 minutes of demonstrations, tips and advice, how to get really good at this fast and exciting sport.